Local Market + Okie Music! 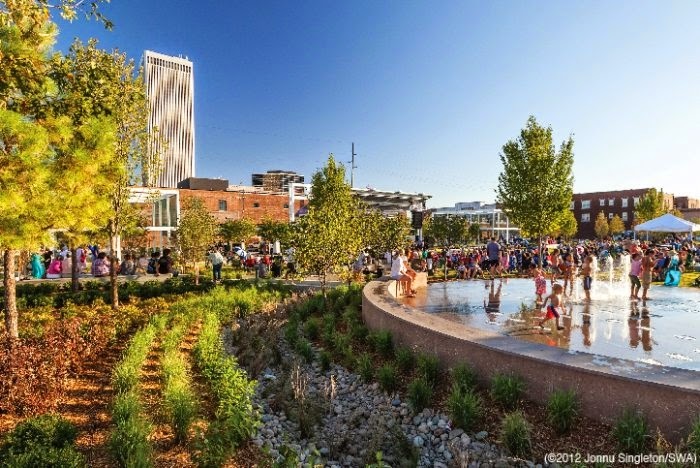 Have you been out to the Sunday Market at Guthrie Green yet? "Yay! Fun!" sums up how we feel about it so this Sunday we'll be there. Bring the family for lunch. Have a picnic in the park. Come with friends to chillax and hang out. Bring lawn games and go crazy. 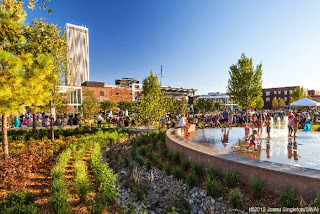 Dance in the splash pad to the concerts. Etc. Etc. - Anything goes! This October, our friends at Global Table Adventure are hosting The Global Table Celebration to commemorate making it to the end of their alphabetical journey to cook a dish from every country on our beautiful planet. As a peace statement and form of living art, every single dish will come together for a fabulous night on the lawn of Philbrook. To make this happen, they need us! Check out the links above to get more info on the event and if you know any local caterers who would want to get involved, let's get them connected! Over 195 dishes will be on the enormous table so they need cooks! Have a product, place or person you'd love to see in our spotlight? Let us know! Working on a green project, running a local business or yearning to learn about the green of Green Country? Come share what's going on! We are a volunteer run organization always open to new ideas and new people. If you are interested in helping plan an event, being a host location or suggesting ideas for future fun, we would love to have you involved. Follow us on Facebook to stay in the know!